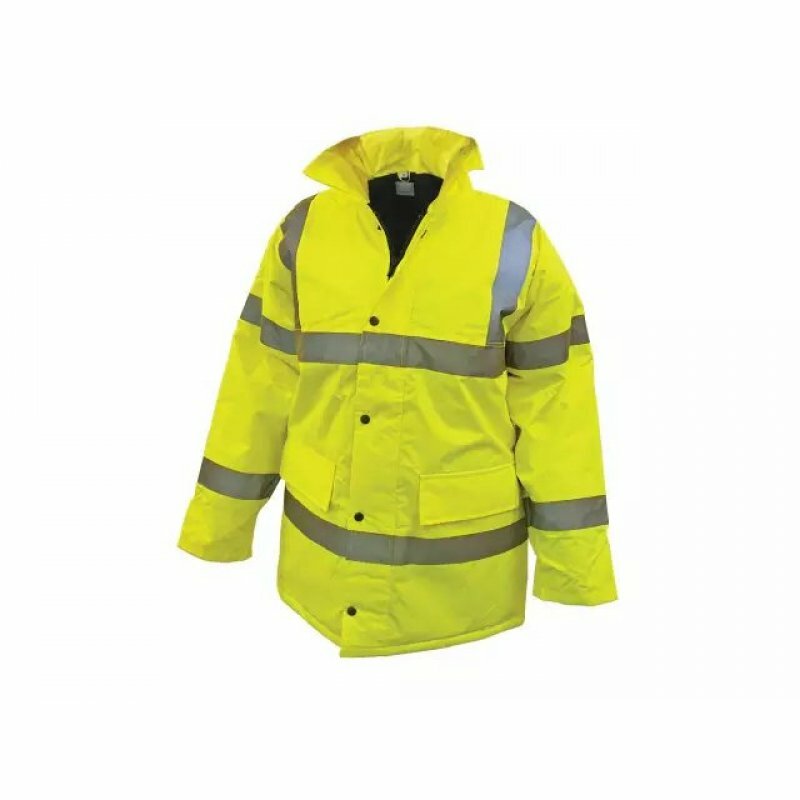 Hi-vis road safety jacket in saturn yellow with 2-band and brace pattern. Polyester fabric with velcro fastening. Hi-vis road safety jacket in saturn yellow with 2-band and brace pattern. Conforms to EN471/2. Polyester fabric with velcro fastening. Reflective tape.